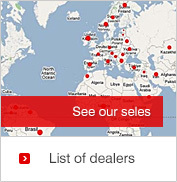 Agrotop-Kaczmarek company has been handling an import and a sale of machines of renowned, European companies for 16 years. 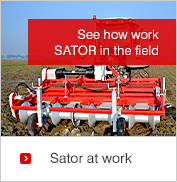 SATOR is a new brand, established in 2008, that produces high-tech machines, which thank to unique solutions make work more efficient, with keeping easy service and long life of machines. 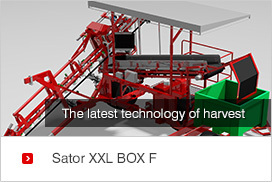 We successfully compete with well-known world's brands, because SATOR is the best connection of price and quality.